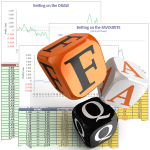 System betting using a portfolio of strategies from several different leagues is for most people a difficult subject to master. 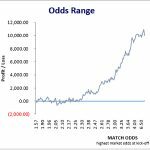 The following series of key articles is aimed at helping you fully understand the fundamentals of profitable 1X2 portfolio betting using our revolutionary HDAFU Tables. 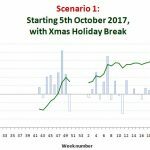 Explore the realities of constructing promising betting strategies together with the mathematical expectations involved. 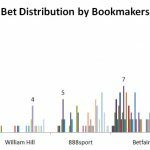 The absolute basics of system betting. An inflection point is a point in a profit/loss line graph where the curve changes direction, either from rising to falling or vice versa. 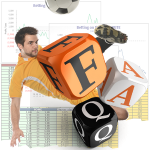 The HDAFU Tables contain automated analyses from three different perspectives: the whole of season analysis; the first half of season analysis; the second half of season analysis. Why is it important to split the analyses in this fashion? 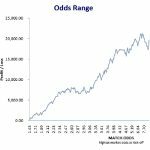 HO/AO means home odds divided by the away odds, and the resultant figure is known as a quotient. In order to identify the likely outcome of a future game, an historical benchmark of some description has to be used. But why use the HO/AO Quotient? 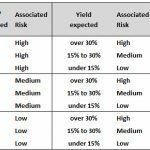 Risk and reward are inherently linked and their relationship should be thoroughly understood before committing money to any betting adventure. 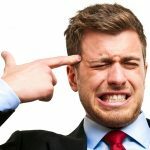 How risky are my individual systems or my portfolio in general? 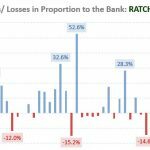 Learn about the different results of flat staking, and ratcheting with a stop-loss mechanism. What are the differences between flat and progressive staking? No one bookmaker or betting exchange will give you best price (or close to it) every time. For best results, a portfolio of accounts is needed. But how large should the initial starting bank and stakes be? 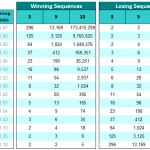 A specialist article detailing the calculations to establish longest expected winning and losing streaks. Can I afford a break and then restart the campaign again after a holiday? And what happens if I miss the start of the season or the start of the first or second half? 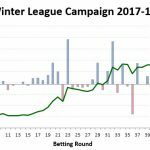 Does a campaign require ‘whole Season’ betting? 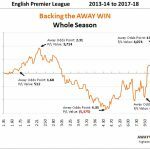 Our own campaign report on the 2017-18 Winter League season encompassing 138 match days. Comes with an Excel workbook download (paid) detailing all systems in use and each individual bet. Our own campaign report on the 2016-17 Winter League season encompassing 214 match days. Our own campaign report on the 2016 Summer League season encompassing 178 match days. 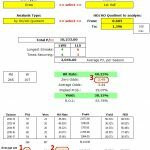 Comes with an Excel workbook download (free) detailing all systems in use and each individual bet. 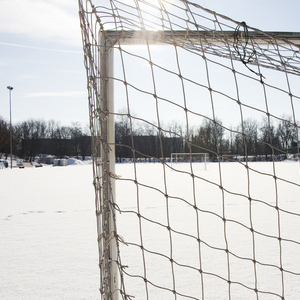 Date information for every league brought together in one place so that you don’t miss a match. Are the mid-season breaks mentioned? 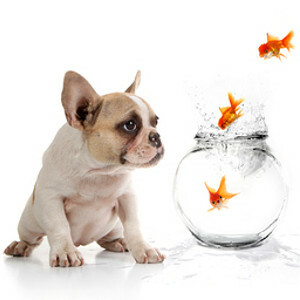 To identify which games to bet on in the leagues of your choice, you will need access to a live odds comparison site. 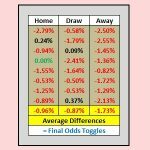 Oddsportal.com is by far the most comprehensive odds comparison site on the Net at present. The Odds Toggle is an important feature of the HDAFU Tables and allows you to adjust the results of each simulation. Why would I wish to adjust the figures? 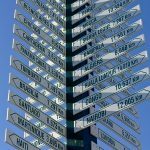 A selection of reader’s questions answered in full. Product-specific, general, and online store checkout questions answered. A selection of user’s questions answered in full. Bet timing, troublshooting, and miscellaneous questions answered. It takes a particular mindset to be a successful gambler. But isn’t compiling a very promising system enough? Hopefully this article provides a logical walk-through the mechanics and the power of Soccerwidow’s HDAFU Tables. However, if you still have questions or would like to share with other readers your experiences of using the tables, please use the comments section below.